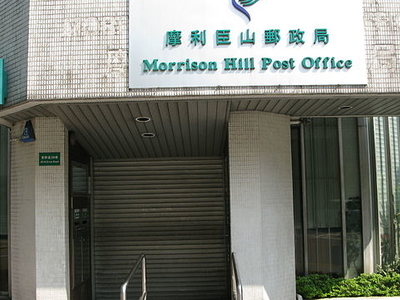 Morrison Hill (Chinese: 摩理臣山 or 摩利臣山) is an area and was a hill in Wan Chai on Hong Kong Island in Hong Kong. Located near Happy Valley, the hill was at the seashore until the Praya East Reclamation Scheme in the 1920s, which used its constituent rock/earth to reclaim land from the harbour, extending the shoreline away from the area. This major operation took most of the decade and to carry away the rock and soil, temporary railway tracks were laid, running along Bowrington Canal (present day Canal Road), which was covered over for the purpose. 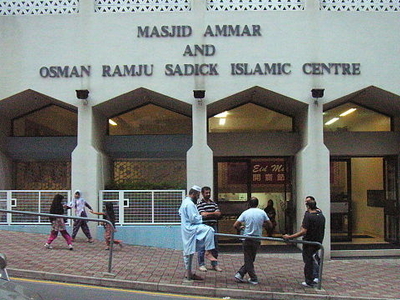 Today, the centre of the area is occupied by the Morrison Hill Swimming Pool and several secondary schools, within a circular street, Oi Kwan Road (愛群道). A main road, Morrison Hill Road (摩理臣山道), runs along the east side of the area. 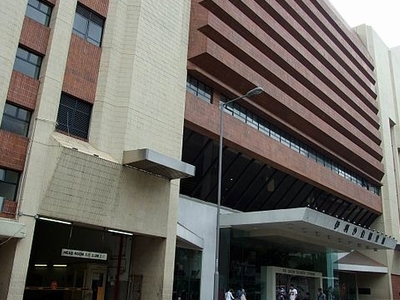 The Queen Elizabeth Stadium and the Tang Shiu Kin Hospital are nearby in the area. There is also a skatepark near the children's playground. The hill was named for J.R. Morrison, a Chinese interpreter and linguist. He and his Protestant missionary father, Dr Robert Morrison, travelled through the region as part of the Morrison Education Society. The younger Morrison died of malaria in Macau on 29 August 1843. Here's the our members favorite photos of "Hills near Wan Chai". Upload your photo of Morrison Hill!